Platform Live 22.6.2011 – Platform r.f. 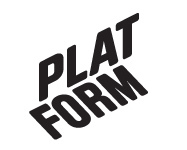 Kane Do (US/DE) is in Vaasa during June-July to carry out a project, which will be presented in a group exhibition arranged by Platform at Kuntsi in December 2011. This evening he will talk about his practice. Kane Do was born 1974 in Qui-Nhon, Vietnam. He received a BA from Reed Collage in Portland, Oregon, USA in 1996 and an MFA from UdK, Berlin in 2006. In 2000 he carried out independent research at CCA (Center for Contemporary Art) in Kitakyushu, Japan. He has exhibited in Japan, USA, France and Germany. Currently he’s based in Berlin. Olsson (DK/SE) will speak about words. Why he likes some and doesn’t like others. And how he as a child was very confused before he realized that a word can mean more than one thing. He might also play the ukulele and sing a song, but promises it won’t be for long. Green Gold is a Finnish expression that refers to forestry; to that treasure considered fundamental for the economic system of the country, constituted by lumber of firs, pines and birches. Finland is the most extensively forested country in Europe: forests cover approx. 86% of the land and the larger part of this, belonging to private owners and to the state, is exploited. Following rotation periods of about five years, new forests are planted or sown artificially, in other cases natural regeneration is induced. Very few portions of the original woods are still intact even if, at first sight, the apparent chaotic structure of the plantations and the prosperous vegetation may mislead the observer. More accurate surveys reveal traces of human intervention and manipulation of the natural element on different levels. The project focuses on this intricate relation between the leftovers of untouched nature and the modified environment taking over. The main devices used have been video, sound and photography. A related artist’s book will soon be released in limited edition with the support of SVK-AIR program of Novia Nykarleby. Lorenzo Casali (born 1980) graduated from the Brera Academy of Fine Arts, Milano, in 2004, followed by studies at the Academy of Fine Arts, Budapest and at the Academy of Fine Arts, Lisbon. Micol Roubini (born in 1982) graduated from the Brera Academy of Fine Arts, following studies at the Academy of Architecture in Mendrisio. In 2008 she got a degree in audio technology at Irmus, Institute for Musical Research, Milan. In 2010 Casali and Roubini began working together during their residency at the Guesthouse in Cork, Ireland. They live and work between Rotterdam and Milano.